Periodontal disease, commonly known as “gum disease,” is a leading cause of tooth loss in adults. It occurs when harmful bacteria infect the gums and create gaps around the teeth. Periodontal disease is termed a “silent disease” because it may not produce symptoms until it has progressed to an advanced stage. Periodontal disease is preventable, and your dentist can treat the condition. If left untreated, periodontal disease can lead to tooth, gum, and bone loss. Your gums, periodontal ligaments, and underlying bones support your teeth and hold them in place. It is important to keep this foundation healthy. Your mouth contains bacteria. Some of the bacteria are good, and some types of bacteria can be harmful. A major cause of periodontal disease is bacteria that are found in plaque. Plaque is a thin sticky film that constantly forms over your teeth. The sugar or starch in foods fuels plaque. The sugars mix with the bacteria in plaque to form destructive toxins. Plaque helps to hold the toxins in place against your teeth. Plaque that has hardened on your teeth is called tarter. Tarter provides plaque with an ideal growing space. Tartar can spread below your gums and onto your tooth’s root. This makes plaque removal very difficult. Although periodontal disease is caused by plaque, several factors can increase the risk, severity, and pace of the condition. People who smoke or chew tobacco are more likely to develop periodontal disease. Structural problems, such as poor fitting dentures, poorly aligned teeth, and teeth grinding, can speed the progression of bone loss. Pregnancy and oral contraceptives (“the pill”) can exaggerate the gum’s response to plaque. Some medical conditions, such as HIV, AIDS, and diabetes, can lower resistance to infection and lead to more severe periodontal disease. Additionally, certain medications, including steroids, anti-epilepsy medications, chemotherapy, and some high blood pressure medications, can affect your gums. Periodontitis is one of the most common types of gum disease. It is a progressive condition, meaning that it tends to get worse over time. However, periodontitis can be halted with early detection and treatment. This periodontal disease typically develops in stages: gingivitis, periodontitis, and advanced periodontitis. Gingivitis is frequently, but not always, the first stage of periodontitis. Tartar on the roots of your teeth can lead to gingivitis. The plaque irritates your gums and causes them to pull away from your teeth, creating spaces or pockets. Gingivitis is a reversible disease if it is treated. Without treatment, gingivitis can lead to more serious conditions, including periodontitis and advanced periodontitis. Periodontitis results from high levels of bacteria in plaque that release tissue-destroying enzymes. The enzymes damage the periodontal ligaments and bone that hold your teeth in place. Periodontitis creates bigger pockets around your teeth, which fill with and hold more damaging plaque. As the gums pull or recede further from your tooth, its roots become exposed. This can lead to tooth decay. The tooth decay can cause your teeth to be very sensitive to hot and cold temperatures. Treatments at this stage are aimed at stopping the disease and reversing its progression. Periodontitis can progress to advanced periodontitis. At this stage the gums, supporting ligaments, and bones are damaged to an even greater extent. With such a weak foundation, tooth loss can occur. Although advanced periodontitis is not fully reversible with treatment, treatment can improve your oral health and prevent further destruction. Periodontal disease can cause subtle symptoms at first. You may notice that your gums bleed when you brush or floss your teeth. Your gums may appear red and swollen. They may feel tender and recede from your teeth. You may experience bad breath and have a bad taste in your mouth. Call your dentist if you experience swollen gums, bleeding gums, or loose teeth. As the disease progresses, you may notice deep pockets forming between your teeth and gums. Your teeth may feel lose or shift easily. When you chew, your teeth may feel like they are out of alignment or in different positions than they were before. Pain usually does not occur until advanced periodontal disease. Your dentist can diagnose periodontal disease by examining your teeth and gums. Your dentist will gently insert a small periodontal probe between your teeth and gums to check for and measure gum detachment and pockets. Your dentist will check for loose teeth. X-rays help identify changes in your teeth, bones, or gums. Treatment for periodontal disease depends on the type of disease and how far it has spread. Initial treatments usually include a professional dental cleaning with scaling and root planning. Scaling is a procedure that removes plaque, tartar, and stains from the tooth surface. Root planning removes plaque and tarter while smoothing the root surface. The smooth surface makes it more difficult for plaque to attach to it. Root planning allows the gum tissues to heal next to the teeth. Some cases of periodontitis may require medications in addition to scaling and root planning. Your dentist may apply antibiotics to the site of infection. You may receive a prescription for antimicrobial mouth rinses to fight the bacteria that contribute to periodontitis. Advanced periodontitis may require tooth extraction and surgical treatment. Surgery can involve the gums and bones. A gingivectomy is a procedure that removes the pocket wall in the gums to allow the tooth to be cleaned and prevent infection. It is not a common procedure. Flap surgery is a more common treatment for deep gum pockets. This procedure temporarily removes the gums from the teeth to allow the removal of plaque, tarter, and diseased tissue. The gum tissue is then stitched into the best position to ensure easy cleaning. Osseous surgery is a type of bone surgery that may be performed at the same time as flap surgery. 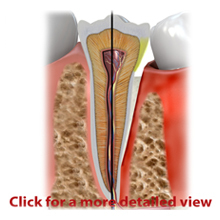 Osseous surgery is a procedure to remove or reshape damaged bone surrounding a tooth. In some cases, a bone graft may be used to replace bone loss and stabilize a tooth. Following osseous surgery, splints similar to braces are applied to temporarily provide stability while healing takes place. After receiving professional treatment for periodontal disease, good oral health care can prevent the condition from recurring. Brush your teeth at least twice a day. Floss daily to remove plaque. Eat well-balanced meals, limit sugary or starchy foods, and avoid in between meal snacks. 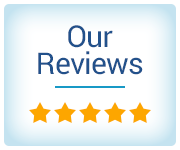 Finally, make and attend regular dental appointments for professional cleaning and examinations.